The standard account of modal expressions in natural language analyzes them as quantifiers over a set of possible worlds determined by the evaluation world and an accessibility relation. 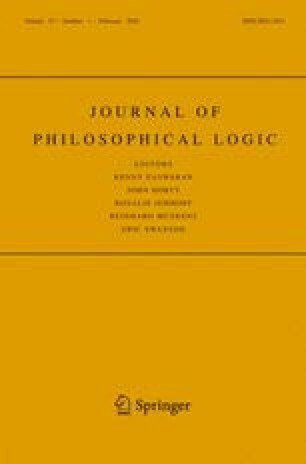 A number of authors have recently argued for an alternative account according to which modals are analyzed as quantifying over a domain of possible worlds that is specified directly in the points of evaluation. But the new approach only handles the data motivating it if it is supplemented with a non-standard account of attitude verbs and conditionals. It can be shown the the relational account handles the same data equally well if it too is supplemented with a non-standard account of such expressions. For helpful discussions of these issues, thanks to Kai von Fintel and Jeremy Goodman. For written comments on earlier drafts of this material, thanks to Matt Mandelkern, Sarah Moss, Seth Yalcin, and to two anonymous referees for the Journal of Philosophical Logic. Von Fintel, K., & Heim, I. (2011). Intensional semantics lecture notes. Notes for class taught at MIT. Available at: http://mit.edu/fintel/fintel-heim-intensional.pdf.